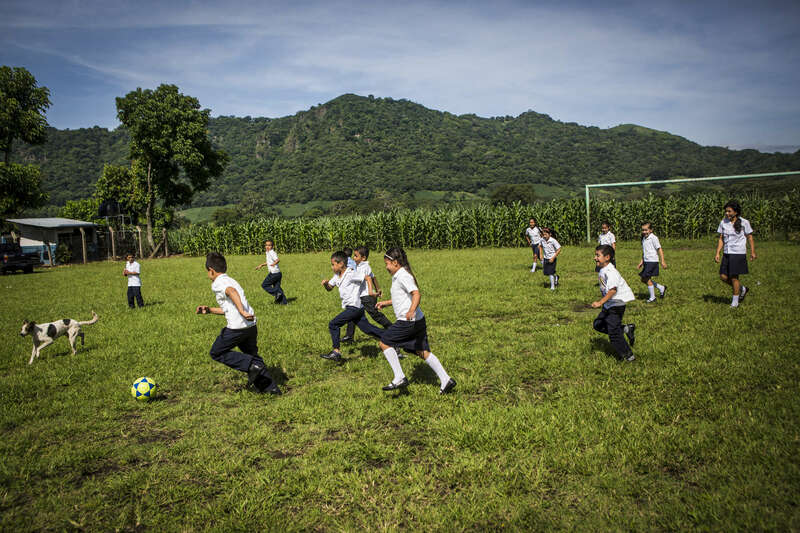 San Julian, El Salvador- Children play on the soccer field outside the Central School in San Julian, El Salvador on Tuesday, June 26, 2018. After many children and faculty grew ill from pesticides sprayed by plane onto the sugar cane field next to the school, the neighboring processing plant was ordered to spray by hand. Sugar cane processing plants must recycle the water they use in order to maintain environmental guidelines but according to local activists, the processing plant in San Julian pumps water directly from the river during the dry/harvesting season affecting the source and impacting their well water.